Andrew Lownie Literary Agency :: Book :: Run Mummy, Run! When Aisha, 29, an attractive and intelligent Asian woman, meets Mark - charming, handsome and successful, she knows she has met the man of her dreams. After a brief romantic courtship they marry, and Aisha is soon expecting their first child. But there is a sinister side to Mark, which has been hidden, and now starts to emerge. Aisha returns home from hospital with their baby and Mark flies into rage and knocks her unconscious. One incident quickly follows another and Aisha finds herself trapped in a highly abusive and violent marriage. With no money, and terrified of what Mark might do, she doesn’t want to bring dishonour to her family by admitting what is happening and ask for help. "Another top tale from the best-selling writer." "...an emotional read, insightful and beautifully written... There aren't many books which have me hooked from the very first page and which I feel obliged to read late into the night but this was certainly one of them. Cathy Glass is such an elegant and insightful writer and I wish there were more like her. Considering the ugliness of the content, she somehow achieves beauty and grace in her writing without diminishing the novel's gravity. You may or may not need a box of tissues by your side to read this book but if you're anything like me, you'll certainly enjoy it." "From the No 1 bestselling author of Damaged, the gripping story of a woman caught in a horrific cycle of abuse - and the desperate lengths she must go to, to escape. " "Absolutely brilliant read. 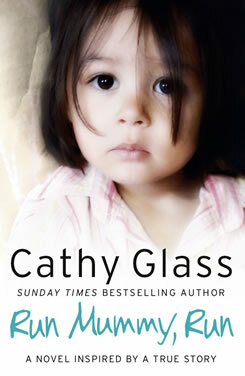 Cathy Glass deserves great acclaim for this wonderful book that had my heart racing and my mouth dry with fear. An astonishingly good read that I simply couldn't put down. Well done Cathy, another fantastic read." "Once I started reading it I could not put it down. This book is in my opinion a MUST read!!" " I have never quite found a book that encompassed all the emotions that come with domestic violence… thank you for addressing a subject so well, it has meant a lot to me personally." Ram D, UK, reader’s email. "Glass has an easy style and the last third of the book (her escape attempt) is compulsive, can’t-put-down reading."